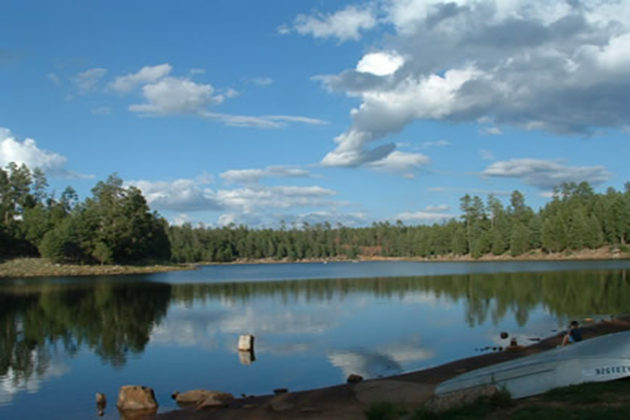 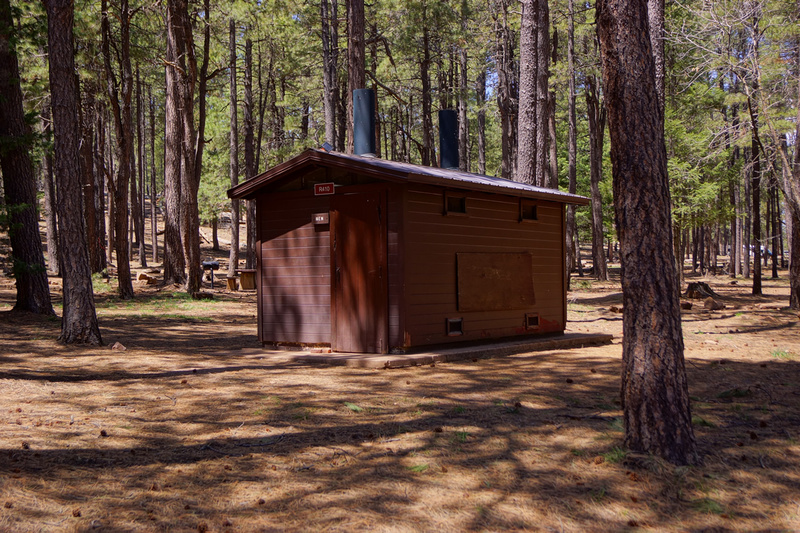 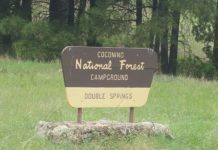 Spillway Campground sits just above the south shore of Woods Canyon Lake with 26 campsites all very closely knit. 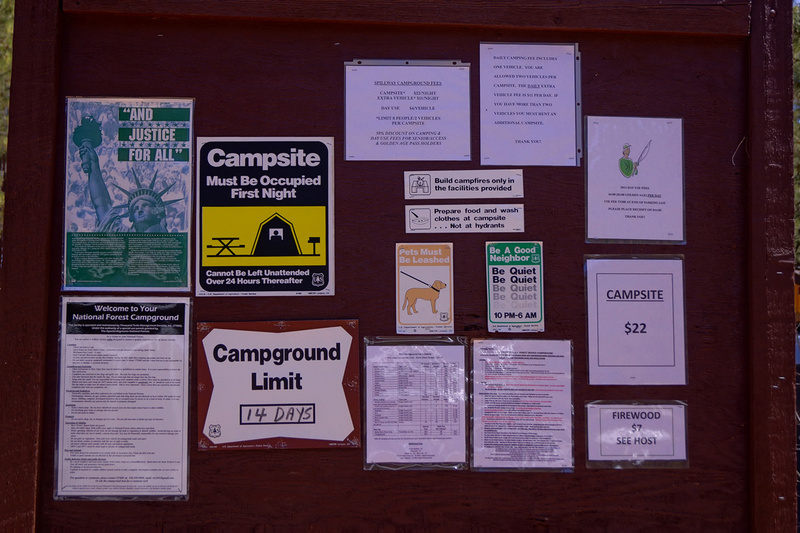 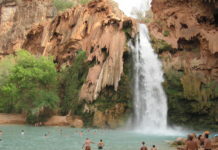 Spillway is the most difficult campground to get a campsite at if you don’t book early in the year. This entire campground is by reservation only. 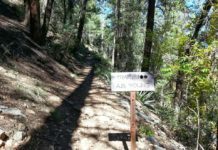 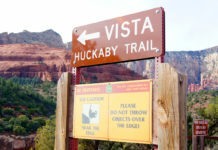 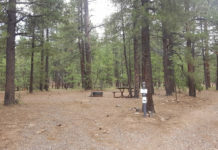 There are no first come first served campsites here. Spillway is well shaded by Ponderosa pine, oak, aspen and Douglas fir. A few of the campsites (19-26) are prime campsites that must be booked the day they go up on the reservation system or they will be most likely gone. 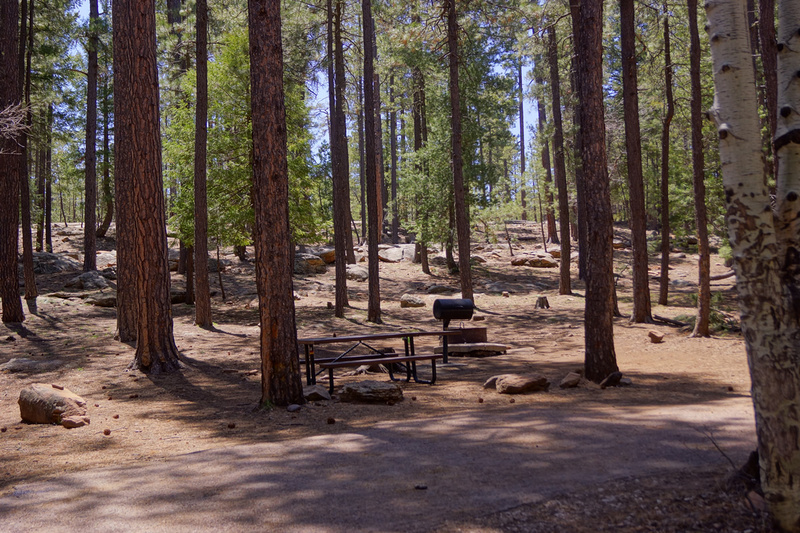 See our article on secrets to snagging the best campsites on the best weekends. 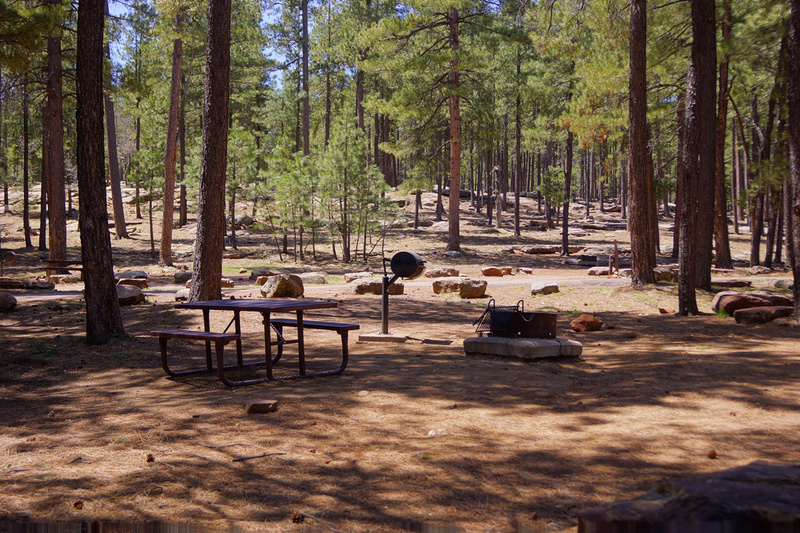 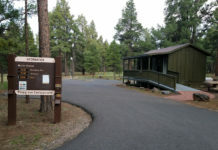 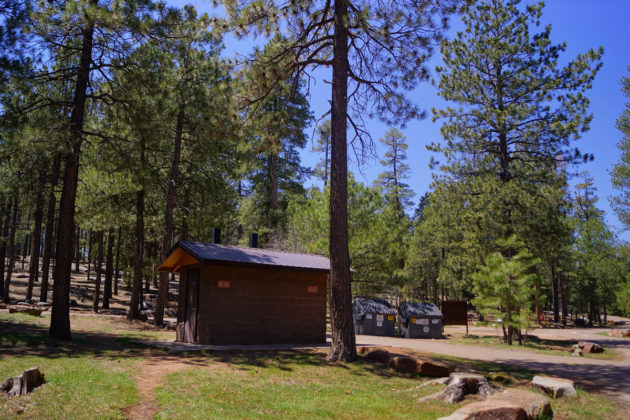 For groups, the Spillway Group Campground can hold groups up to 25 people. 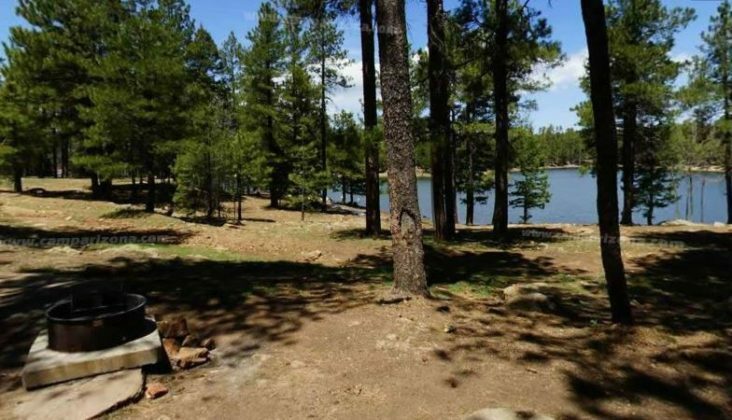 Campsites: 26 plus one group sites that can hold up to 25 people.